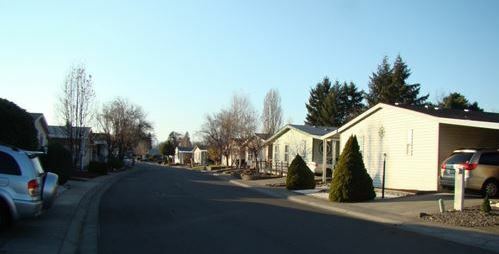 Mobile Home Park Financing has been the Madison Group’s specialty since 2001. 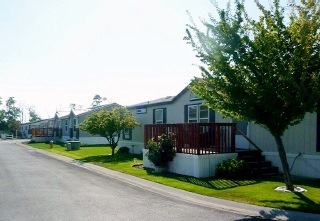 As an industry, mobile home communities (MHP) have seen steady growth over the past few years. In recent years, investors and entrepreneurs have noticed this growing industry and have worked to turn mobile home parks into a viable investment opportunity. Our in-house team of experts can help you with all your mobile home park financing concerns and can help secure the loan that’s perfect for your financial goals. Call us today, and one of our loan experts will help you learn more about your financing options: 435-785-8350. There are a variety of lenders in the marketplace for mobile home communities (MHP). By working with a commercial loan broker like The Madison Group, you can have access to many institutions and their programs. We work with the best lenders and already have a relationship with representatives on the inside. In addition to sourcing your transaction, we can help you assemble your loan documents to make sure you present the perfect package. With an attractive, complete loan package, you will have access to the best options for the optimal loan terms. With the Madison Group, you are not only hiring a lending expert, but a whole team of associates that will work in your best interest. We will submit your package to obtain offers to fund your property and consult with you determine which scenario works best for your monetary goals. We will also help you negotiate with the lender, if necessary, on prepayment penalties options, origination fees, amortizations, and an assortment of other loan terms. We work with third party reports and underwriting conditions, to ensure you have a successful closing. Often, unknown conditions pop up, and our team is invaluable to help you eliminate potential deal breakers. Do you need financing for Mobile Home Parks that are underperforming, in lease up, or have a high percentage of park owned homes? Now there is a lower cost financing option to obtain funding for a value add transaction. Does your park qualify for Fannie Mae loan? Loan Limits $1,000,000 Minimum loan amount. Rates Competitive market pricing. Fixed or floating rates. Terms 3, 5, 10 year fixed terms, and longer 30 year fixed rate options available through Fannie Mae's Loan program. Amortization 25 to 30 Year Amortization. Recourse Nonrecourse loans available (subject to standard carve outs). LTV 65% - 75% typical and up to 80% LTV/LTC maximum. Size 15 pad minimum (50 pad minimum for agency, Fannie Mae, and CMBS program). Geographic areas Nationwide (secondary and tertiary markets acceptable).